KARACHI: Government on Tuesday allowed K-Electric (KE) to use re-gasified natural gas (RLNG) as an alternate fuel for power generation, but didn’t grant any change in the fuel price. “In order to bridge the power demand and supply gap and to provide immediate relief to end-consumers, the authority (National Electric Power Regulatory Authority) has decided to allow immediate application of RLNG as alternative fuel in the instant case subject to an order of refund for the protection of the consumers, while the proceedings are pending before the authority,” the power regulator said in a statement. In April, the power utility requested Nepra to allow RLNG as an alternate fuel for its existing power plants after a fuel shortage worsened electricity breakdowns in the city. Subsequently, the Cabinet Committee on Energy directed Sui Southern Gas Company (SSGC) to increase gas supply to KE under an arrangement of 130 million metric cubic feet/day (mmcfd) of natural gas and 60mmcfd of RLNG to meet KE’s minimum gas requirement. KE also requested the authority to provisionally approve inclusion of RLNG as an alternate fuel. The utility has been using RLNG since the cabinet’s direction. The imported gas is comparatively expensive than the local substitute. RLNG share in energy mix soared to almost 20 percent as the country set up two terminals to produce 1.2 billion cubic feet/day of RLNG. Overall, gas-based power production increased to 43 percent, followed by hydel (19.44 percent), coal (15.79 percent) and furnace oil (8.33 percent), according to the Nepra. In May, Nepra admitted the application of KE and decided to initiate proceedings to modify the existing mechanism of fuel cost component on account of RLNG. The power regulator, however, attached some conditions with the permission to KE to use the imported gas as a substitute fuel. Nepra directed KE to immediately execute gas supply agreement with SSGC. Former Prime Minister Shahid Khaqan Abbasi had to step in to resolve the issue between K-Electric and SSGC, to bring an end to the worst electricity crisis that devastated the country’s financial hub during peak summer. Consumers in Karachi used to suffer up to 18 hours of power outages a day due to row between KE and SSGC, while those who were exempted of electricity load shedding were also bearing the power unavailability. Industries remained the worst affected and resorted to protests and threatened to cut production in the wake of rising losses. 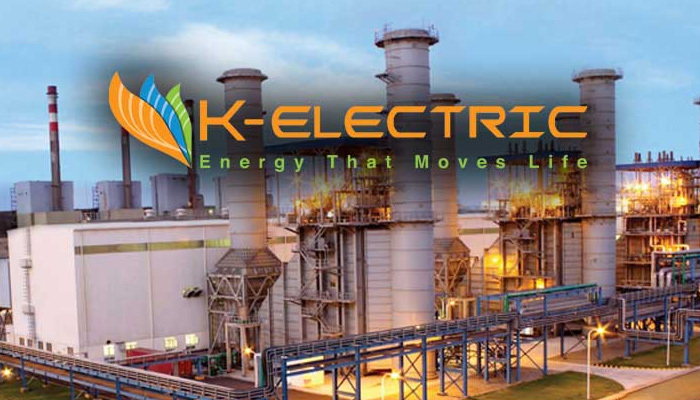 K-Electric has been demanding 190mmcfd of gas from SSGC to run its power plants and to meet consumer demand of 2,700 megawatts. The company used to receive 90mmcfd instead. Since KE was able to generate 2,400MW at that time the shortfall caused power outages.